The holiday spirit must be out in full force, as we’ve got yet another awesome giveaway to talk about. 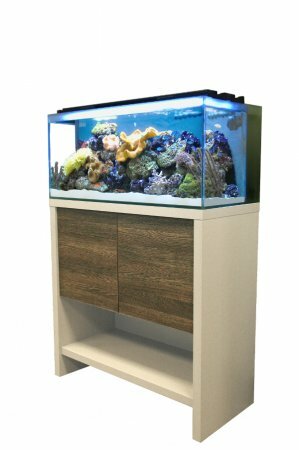 Fluval recently announced that they have launched a “Room Tank-Over Contest,” which is a creative writing contest that will feature a deluxe aquarium package worth $1500. To enter, contestants must submit an article describng why they deserve to win the aquarium, which will be reviewed by a panel of aquatic experts. In addition to receiving the tank as a prize, the winner will also have it installed at their home or office by Francis Yupangco, Fluval’s Aquatic Development Manager and one of the stars of Fish Tank Kings. To enter the contest, all you have to do is head on over to the Fluval Facebook page, click on the contest link, and register for the contest, and explain in 250 words or less why they should be chosen. The submission must be accompanied by a photo of the room where the aquarium is to be installed. The Room Tank-Over contest is currently open and runs until January 15th, 2014. The winner will be announced at the end of January. The grand prize consits of either a Fluval M-90 (saltwater) or F-90 (freshwater) aquarium package that includes the tank and stand, filter, heater, decor, substrate, food, complete set of water treatments, live fish. A runner-up prize consisting of a Fluval Accent aquarium and cabinet ($500 value) will also be given to 10 contestants. This contest is open to US residents 18 or older only.